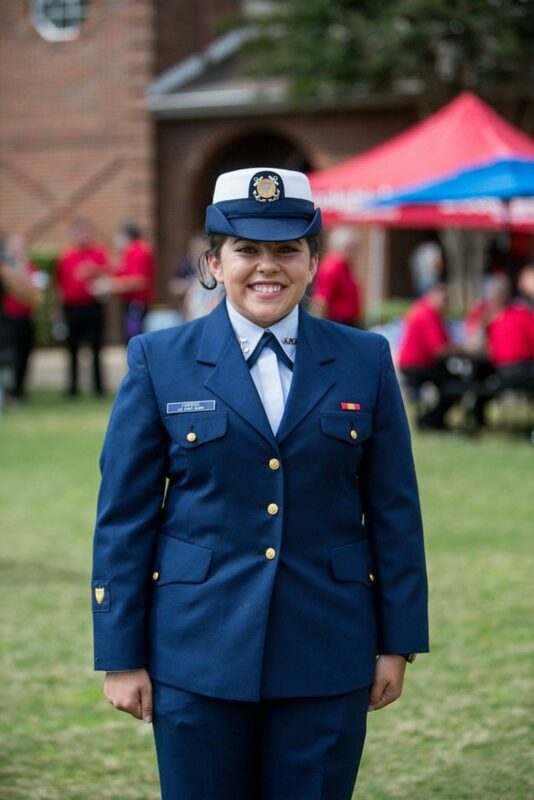 Coast Guard Cadet, Trinity Harris, graduated in May of 2017 and immediately went to the Coast Guard Academy, where her major is Government: Public Policy with Strategic Intelligence Studies. She is also on the shooting rifle team which competes on the NCAA Division I level. Even with her busy schedule, Trinity has been back on campus several times since graduation and has expressed her appreciation for her time at Brook Hill. As far as advice she would send to current students, Harris stressed that they should take advantage of their time at Brook Hill and to not take it for granted.